Aruba Cloud hosts its servers and equipment in data centers using the latest technology available on the market. Our data centers are built to the highest standards in terms of reliability, performance and security. We are present with a network of data centers in Italy, Czech Republic, France, Germany, the UK and Poland. Our infrastructure holds certifications that testify our commitment in terms of efficiency and performance. This allows us to offer quality services and products and increase customer satisfaction. Aruba Cloud Computing is delivered from our Data Centers and defines the key parameters on service delivery with a minimum of 99.95% Uptime guarantee. Our pricing is clear and simple, with no hidden costs or charges. To provide our Cloud services we decided to go with the top hardware and software providers in the world, to make sure our customers get the highest quality. We have been using DELL for our server solutions for years. Our processors are all Intel. Aruba chooses to work with the best using NetApp MetroCluster and Dell Compellent technology for storage and Cisco and Nexus technology for our network devices. This results in incredibly high-performance execution of your web services based on scripting and database languages. As the benchmarks of Cedexis and Cloudscreener have demonstrated, our results in terms of connectivity and response time have allowed us to achieve higher performance and greater value than our competitors, including Amazon Web Services, Windows Azure, Joyent and Rackspace. 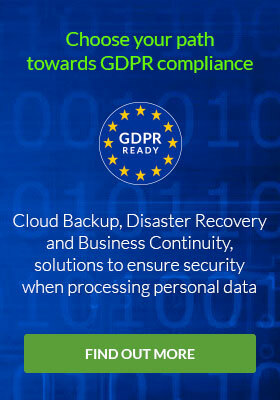 Our Private Cloud, Public Cloud, Cloud Backup and Cloud Object Storage services are compliant with the CISPE Code of Conduct (Cloud Infrastructure Services Provider Europe) and are identified by a “trust mark”. They provide a solution that allows customers and citizens to store and process their data within the European Economic Area. Thanks to the white label interface you can resell our cloud services to your customers using your brand or create your own template and design your own SaaS solution. The Aruba Cloud solution includes a wide range of products designed to meet all your needs: from Cloud Server Smart right up to more complex Private Cloud infrastructures, offering also additional services such as Backup and Monitoring services. 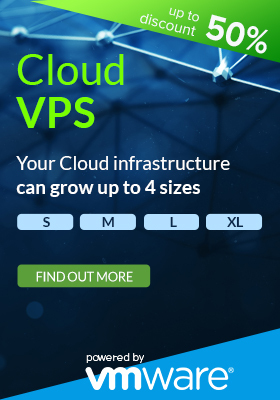 In our guides, you can find all the information you need to get the most out of our Cloud services.